Outside: Geez, Monte. 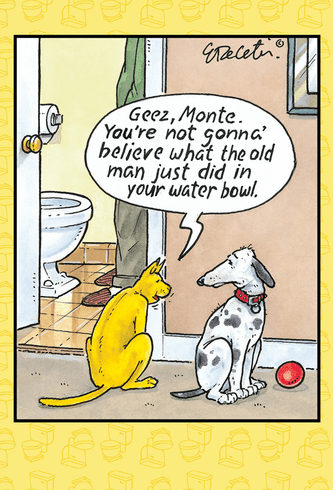 You're not gonna believe what the old man just did in your water bowl. Inside: Bottom's up. It's your birthday.